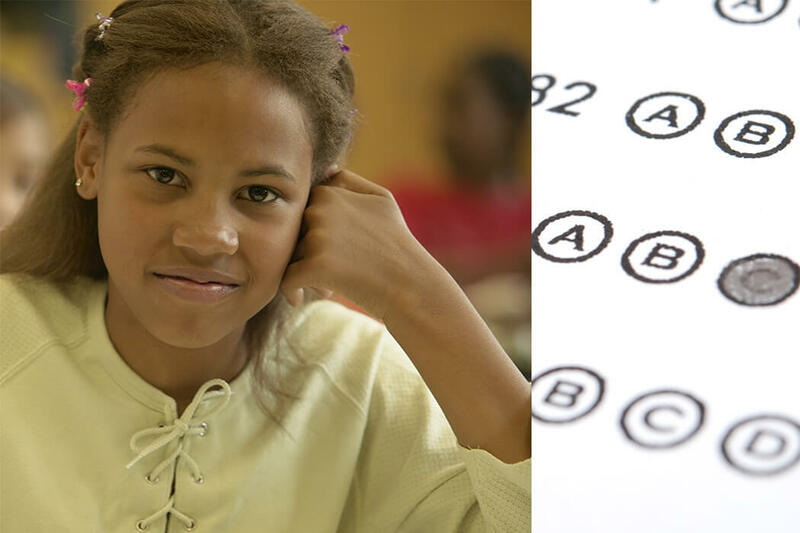 Today, we take another look at the recently released SBAC scores for grades 3-8 and see how Hartford students are faring on what is a much more rigorous battery of tests than the CMT of years past. The results are sobering, and urgency is high. In addition, we take a look at who is running for the upcoming Hartford Board of Education election and also learn what one unique partnership in our city can teach us about thinking big. School board election season is fully upon us. The central question remains: what should voters be looking for in a strong Hartford board member? Before discussing this year’s candidate forum for the upcoming Hartford Public Schools Board of Election, it may be helpful to think back to what we already know Hartford needs of its board of education members. In the past, we have written about the individual and team attributes needed. Among these, there are two articles that hold particular importance. The first: We hosted a public summit sponsored by the Nellie Mae Education Foundation December 2016 addressing “Transformative Education Governance” that looked at how we can both make incremental improvement and dramatic innovations to improve student outcomes and ensure system-wide alignment and coordination. Serving as a school board member is a challenge for most leaders. As several Hartford Public Schools Board Members noted in our Transformative Governance forum last December, Hartford and the HPS Board of Education faces significant governance and leadership challenges. The Challenge of Service. Board members serve in a volunteer capacity for what arguably could be a full-time job. Check out video of Board Members Tiffany Glanville and Richard Wareing discuss this and other challenges here, starting at the 37:47 mark. Place Students at the Center. Success for students must come by centering conversations about education (and education itself) around students AND by inviting students meaningfully into the conversation to help create what education could and should look like in the 21st century. Break the Mold. 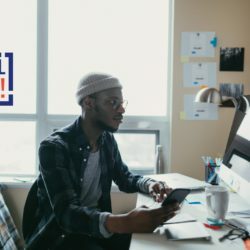 Alternative models from Colorado and Springfield, MA, respectively, suggested break-the-mold attempts to shake up the system of governance, through collaborations among traditional authorities, teacher unions, and programs networked across schools. Unusual alliances are welcome; even more unusual ways to center on student needs may be needed. Ability to understand and utilize data in ways that drive accountability. For more insights on board attributes – including pros/cons of having a hybrid, “strong mayor”-type board, read the full article here. This year’s school board election on November 7 provides voters with an opportunity to bring in (or back to the board) the leaders Hartford needs now. Just this week, candidates shared their vision and plans for leadership at a Hartford Public School Board of Education Candidate Forum. Showcasing the incredible capacity of our students, the forum format and questions were designed by Hartford youth in the Promise Zone Yes! Career Pathways for Youth program (a joint program of Capital Workforce Partners and Blue Hills Civic Association). The event itself was hosted in partnership with The Hartford Votes/Hartford Vota Coalition and Hartford Public Library. For full video of the forum, click here. Opening Statements: Each candidate was given a 3 minute opening statement. “Speed Dating”: Each candidate answered questions from a small group. At the end of 5 minutes, candidates rotated to a new group for another 5 minute discussion. “Jeopardy Round”: Student organizers asked a question and candidates rang their buzzers to indicate they wanted to answer the question. Once all candidates had answered a question, the audience indicated via applause, which answer they liked the best. Audience Questions: Audience members got to ask questions of the candidates. This exciting and informative night provided live audience members and at-home viewers of AccessTv with meaningful insights into the types of board members the candidates might become. If you are a Hartford resident, don’t forget to vote for board of education candidates on Tuesday, November 7. Polls open 6am to 8pm. You may vote for up to three (3) candidates. The candidates elected to the Hartford Board of Education will be stewarding our district for the next four years. Hartford Votes/Hartford Vota Coalition Members include: Blue Hills Civic Association – CT Community Nonprofit Alliance – MetroHartford Alliance – Hartford 2000 – Hartford Public Library – League of Women Voters of Greater Hartford – Achieve Hartford! – CT Center for a New Economy – Common Cause in Connecticut – City of Hartford Registrars of Voters – A Better Way Foundation – Nancy A. Humphreys Institute for Political Social Work – Hartford 2000 – Office of the Secretary of the State – Community Capacity Builders. 2016-17 SBAC: How did Hartford Students Perform? Download the 2nd mini report containing school and district comparisons. 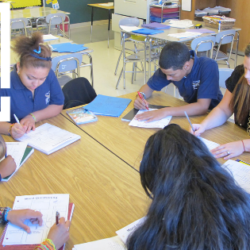 The data presented in this report is the most recent SBAC performance data for students in the Hartford Public Schools. There are many partnerships worth highlighting in Hartford. Here is one in particular we think you should know about. 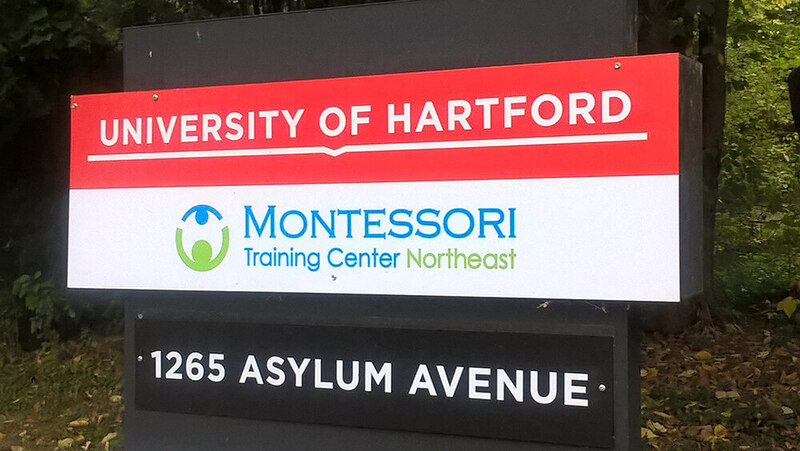 A 10-year partnership between the University of Hartford and the Montessori Training Center Northeast (run by CREC) focused on fulfilling the shared goal of educating more teachers in the Montessori method just earned a nearly $5 million grant. The Walton Family Foundation’s James Walton Fund awarded a $4.8 million grant to the partnership to establish the nation’s first undergraduate Association Montessori Internationale (AMI) Montessori education concentration at the University of Hartford and to conduct five years of research about the Montessori educator preparation. 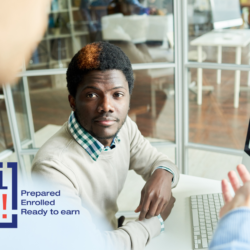 Starting this fall, students began entering the program to earn the internationally recognized AMI diploma through this unique bachelor’s degree. Enrolled students will be able to do their student teaching at area Montessori schools. “What you had were people in the practitioner community and a university who were passionate about Montessori education and were able to come together for our mutual benefit,” says University of Hartford Provost H. Frederick Sweitzer. 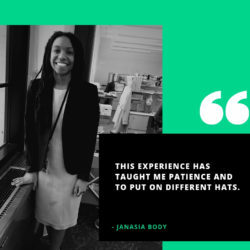 The partnership allows the University to award academic credit to those studying the Montessori method, and the University benefits by getting the expertise of instructors from the Montessori Training Center Northeast. This helps both organizations, Sweitzer says, because the chance to earn academic credit will attract more students to the program; offering Montessori instruction to graduate and undergraduate students will help UHart differentiate itself from the competition. The Walton funds also finance the University’s ability to offer financial aid to students seeking Montessori credit, which both partners believe will increase the number and diversity of those trained to become Montessori teachers. The grant also provides funding for MTCNE to relocate to the newly renovated Butterworth Hall on UHart’s Asylum Avenue campus in Hartford’s West End. Nee credits the partnership’s success to the memorandum of understanding worked out in the beginning, which defined, in writing, each partner’s roles and received approval from the university president and CREC’s executive director. While both organizations have seen staff turnover at the highest levels, the MOU, coupled with long-serving advisory board members, have allowed the partnership to reach its goals, he says. “That speaks for the passion and commitment and the sustainable relationship we made early on,” he says. It also helped that CREC remained supportive “through good times and bad times,” Nee says, even the year when the program lost money. For Nee, this grant and what it funds, rewards a partnership born of necessity and shared values. Nee opened CREC’s first Montessori magnet school as its principal in 1999. From the start, he faced a shortage of Montessori-trained teachers. “Getting them state certified was next to impossible. We knew we needed to do something different,” he says. 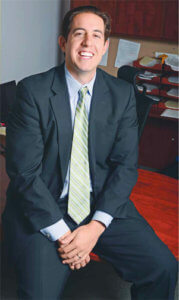 He and his colleagues reached out to a few area colleges, and the University of Hartford agreed to work with them. Together, they collaborated with the state Department of Education’s Bureau of Certification, which, after extensive review, eventually agreed to award a Unique Endorsement Montessori Certification for teachers with a bachelor’s degree, an AMI Montessori diploma and four additional graduate courses that could be taken at the University of Hartford. Nee worked with Regina Miller, formerly leader of UHart’s early childhood education program, to develop a master’s program. In 2007, the university began offering up to 18 graduate credits in Montessori training, with Nee and some of his staff teaching some of the graduate classes. Greg Florio, executive director of CREC, credits the long-standing partnership between CREC and the University, as well as shared goals and persistence. The partnership between the University and CREC doesn’t end with this agreement. This partnership is something other nonprofits in Hartford can learn from and emulate, says Paul Diego Holzer, executive director of Achieve Hartford! “What I admire most about the partnership is that they’re thinking big. They’re looking at their assets and they’re saying, ‘Why not have it be us who internationally push growth in our field forward?’ When I think of Hartford, I think of it as a city of incredible assets and I want all of our private sector – nonprofit, higher education, corporate and philanthropic leaders – to think boldly,” Holzer says. Thinking big just landed a multi-million dollar commitment from the Walton Family Foundation’s James Walton Fund. Let’s emulate this type of thinking throughout our city. I would love to subscribe to your Education Matters newsletter. Do you have subscription functionality? You are now subscribed to receive our Education Matters newsletter. Let me know if I can be of any other help.